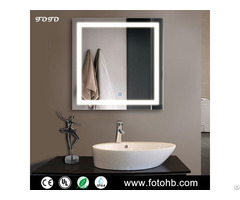 "(1) Square frameless backlit mirror. (2) mirror size 800MM wide x 600MM tall. (3) top and bottom W40mm frosted. (4) LED LIGHT, by LED 6400K or 3000K, SINGLE LED belt. (7) with UL certificate MEANWWELL driver. " 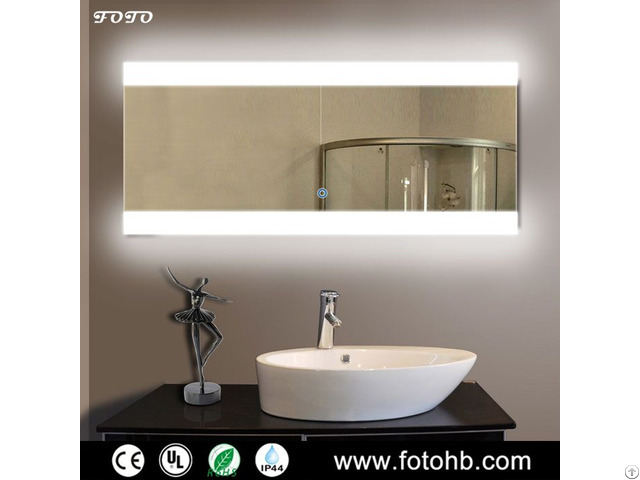 Posted By: FOTO DECORATION CO., LTD.
1- Since 2006, 10 years manufactoring experience in LED Mirrors, TV Mirror, Bluetooth Mirror, Infinity Mirror, much more clear about what customers need indeed. 2- CE/UL Certificated. 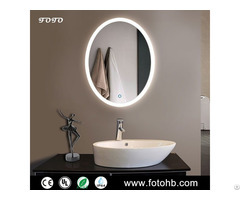 Especially, UL/cUL Certificate for whole LED Illuminated Mirrors, NOT ONLY LED DRIVER. No doubt this wil be very helpful for you to develop US and CA markets. 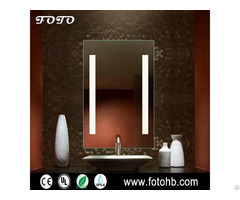 3- Have our own hardware and glass workshop, quality more guaranteed and production cost more competitive. 4- Strong custom capability, work for W Hotel / Holiday Inn (IHG), etc.